Professor Karolyi is the Associate Dean for Academic Affairs and Harold Bierman, Jr. Distinguished Professor of Management at Samuel Curtis Johnson School of Business, Cornell University. He is an internationally-known scholar in the area of investment management, with a specialization in the study of international financial markets. He has published extensively in journals in finance and economics, including the Journal of Finance, Journal of Financial Economics and Review of Financial Studies, and has published several books and monographs. His research has been covered extensively in print and electronic media, including The Wall Street Journal, Financial Times, The Economist, Time, New York Times, Washington Post, Forbes, BusinessWeek, and CNBC. Karolyi currently serves as executive editor of the Review of Financial Studies, one of the top-tier journals in finance. He is and has also served as an associate editor for a variety of journals, including the Journal of Finance, Journal of Financial Economics, Journal of Empirical Finance, Journal of Banking and Finance, Review of Finance and the Pacific Basin Finance Journal. He is a recipient of the Fama/DFA Prize for Capital Markets and Asset Pricing (2005), the William F. Sharpe Award for Scholarship in Finance (2001), the Journal of Empirical Finance’s Biennial Best Paper Prize (2006), the Fisher College of Business’ Pace Setter Awards for Excellence in Research and Graduate Teaching and Johnson’s Prize for Excellence in Research in 2010. He joined Johnson in 2009, after teaching for 19 years at the Fisher College of Business of The Ohio State University. He leads various executive education programs in the U.S., Canada, Europe, and Asia, and is actively involved in consulting with corporations, banks, investment firms, stock exchanges, and law firms. 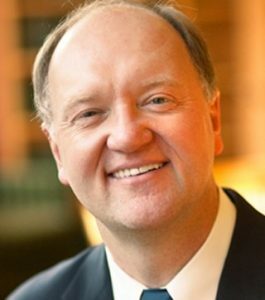 He currently chairs the board of trustees and is past president of the Financial Management Association International and has served as a director of the American Finance Association. Karolyi received his BA (Honors) in economics from McGill University in 1983 and worked at the Bank of Canada for several years in its research department. He subsequently earned his MBA and PhD degrees in finance at the Graduate School of Business of the University of Chicago. Dr. Jerold L. Zimmerman is Professor Emeritus at Simon Business School, University of Rochester. From 1998 to 2015, he was the School’s Ronald L. Bittner Professor of Business Administration. A founding editor of the Journal of Accounting and Economics (JAE), Professor Zimmerman received his doctorate from the University of California, Berkeley. His research and teaching span financial and management accounting including recent publications in The Accounting Review (TAR), the Journal of Law, Finance, and Accounting, Accounting and Business Research , Accounting Horizons as well as JAE. 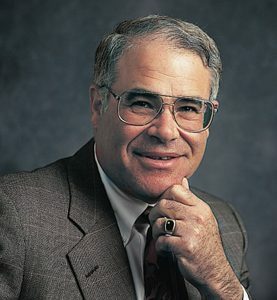 He has been the recipient of prestigious American Accounting Association awards including its Outstanding Accounting Educator Award (2016), the Seminal Contribution to Accounting Literature (2004), and the 1978 Competitive Manuscript Award for his TAR paper, ‘The Costs and Benefits of Cost Allocations’. With Ross Watts, he has twice received the AICPA ‘Notable Contribution to the Accounting Literature Award’ (1978 and 1979). This ground-breaking research into the costs and benefits of accounting techniques and practice has become known as Positive Accounting Theory. Professor Zimmerman is the author of a number of textbooks in accounting and managerial economics, including his MBA texts, Accounting for Decision Making and Control (in its 9th edition) and Managerial Economics and Organizational Architecture (with J. Brickley and C. Smith) in its 6th edition. Called upon frequently as an expert witness, Professor Zimmerman is also a sought-after visiting professor and speaker. The list of individuals on whose doctoral committee he served or chaired represents a Who’s Who of accounting and finance researchers.